It was 2007 when driven by the desire to express my idea of guitar amplification, I decided to make my first amplifier. Soon other prototypes followed that although intended primarily for personal use, soon began to arouse the interest of important professionals, first of all the legendary guitarist of Dire Straits, Phil Palmer. 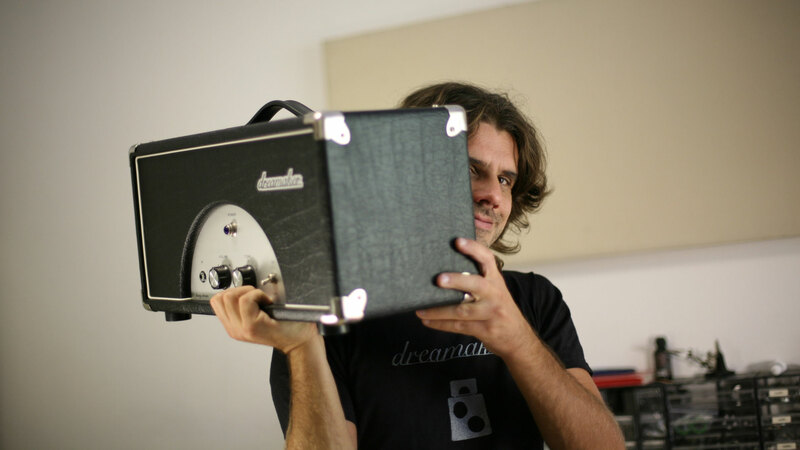 In the wake of those first successes and after having spent some time on perfecting the amplifiers, in July 2011 my Dreamaker Amps workshop was officially born. Today, thanks to all the people who believe in my work, I can continue to build amplifiers with the same enthusiasm and the same desire to do well of that first amplifier built in 2007. I've always been a minimalist and my relationship to electronics is not exception. In fact, my challenge is always to try to get the desired result with the lowest number of components. This approach usually allows me to have more control over what I do and to easily explore all the available options that a given electronic circuit can offer. Also simplicity in electronic designs often translates to better efficiency, reliability and less noise floor of the circuits made. For the amps that I build I often take inspiration from the great classics of the past but without ever stopping to explore new technical solutions to offer a better usability for today's needs or at least try to add something personal to what has already been said. In fact, I always prefer to personally test each new component available on the market rather than falling into the "vintage is better" thought trap. My efforts are not limited to trying to produce amplifiers that sound good but also to offer appliances that can last a lifetime without any special maintenance. I always invest a lot of time in designing as clean as possible assembly layouts, with each component directly accessible without removing another (something very difficult to find in the industrial productions). The very time consuming point-to-point wiring on tag boards is the most suitable for its sturdiness and durability in tube amps, it also facilitates the creation of customized solutions and provides unparallel ease maintenance operations. Dreamaker Amps are fully handmade by myself, in my small laboratory situated in Verona (Italy). I create a limited number of pieces per year, customizing every detail for my clients.